Explanation: In December of 1993 astronauts Story Musgrave and Jeffrey Hoffman performed the orbiting repairmans' ballet 400 miles above the Earth. 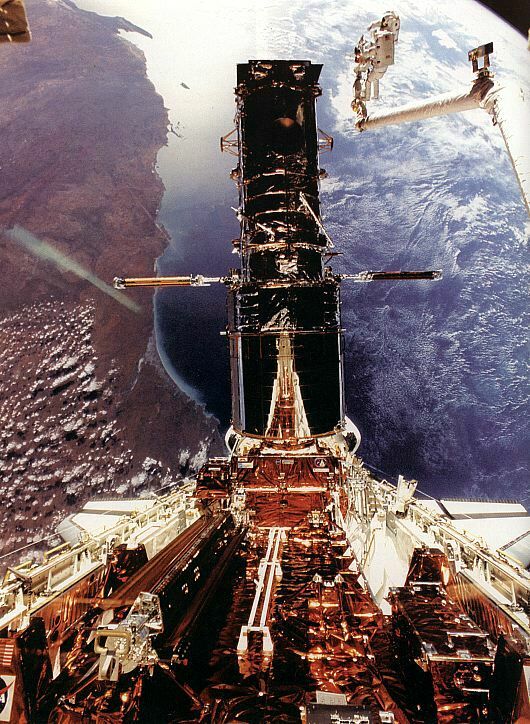 They are seen in this photo perched at the end of the Space Shuttle Endeavour's robotic arm making final repairs to the four story tall Hubble Space Telescope. The coast line of western Australia is visible below. The complex and highly successful repair mission allowed HST to see into the Universe with unprecedented clarity.